Click the button below to add the HP CMB X2 Printing Module to your wish list. This print head is suitable for HP Scitex FB7500 / FB7600 printers. 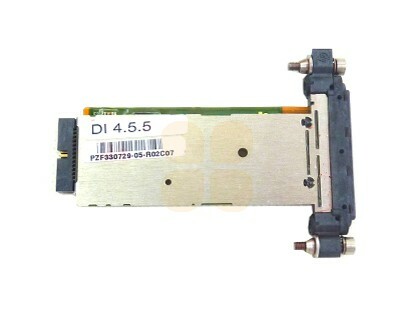 This is the original HP / HP Scitex part (number CW903-60629). wide-format quality, productivity and reliability to a new level. The new printhead is highly durable and reliable and delivers the high ink-flows needed for high-speed printing, with outstanding print quality from every drop. Developed by HP exclusively for HP Scitex industrial inkjet printing systems, the HP Scitex X2 Printhead brings together proven silicon-based MicroElectroMechanicalSystems (MEMS) technology utilized in the semiconductor manufacturing and innovative piezoelectric inkjet technology from HP Scitex. MEMS technologies enable high-tolerance manufacturing, ensuring uniformity and performance. This is important since printheads in many industrial applications are used in arrays of 10s, 100s or even 1,000 or more. Mounting accuracy, imaging accuracy and speed are also benefits of the technology. The HP Scitex X2 Printhead is protected by a number of patents or patent applications. The printhead will be used in some future generation HP Scitex printers for the production of high-quality, durable POS/POP displays, outdoor signage, and building and vehicle graphics. from each side of the chip (64 nozzles per side) at a rate of up to 30,000 drops per second per nozzle. Drop volume is up to 50pl. - The Printhead Chip has 128 nozzles with a native resolution of 100 nozzles/inch, and it can be assembled into multi-printhead modules offering resolutions up to 800 dpi. - The size of the delivery end of the HP Scitex X2 Printhead is 8mm x 64mm. With a slim profile, the printhead is ideal for building multi-printhead modules with very high nozzle density. - An ink channel at the top edge of the printhead supplies all nozzles. Ink up to 15 cP in viscosity can be used in the HP Scitex X2 Printhead. - The Electronics Package, with printhead controllers, voltage regulators and piezo actuators comprises two identical electrical assemblies. - No adhesives are used in fixing the silicon and glass. Anodic bonding is used, forming a permanent chemical bond and hermetic seal between the constituent materials.